So proud! 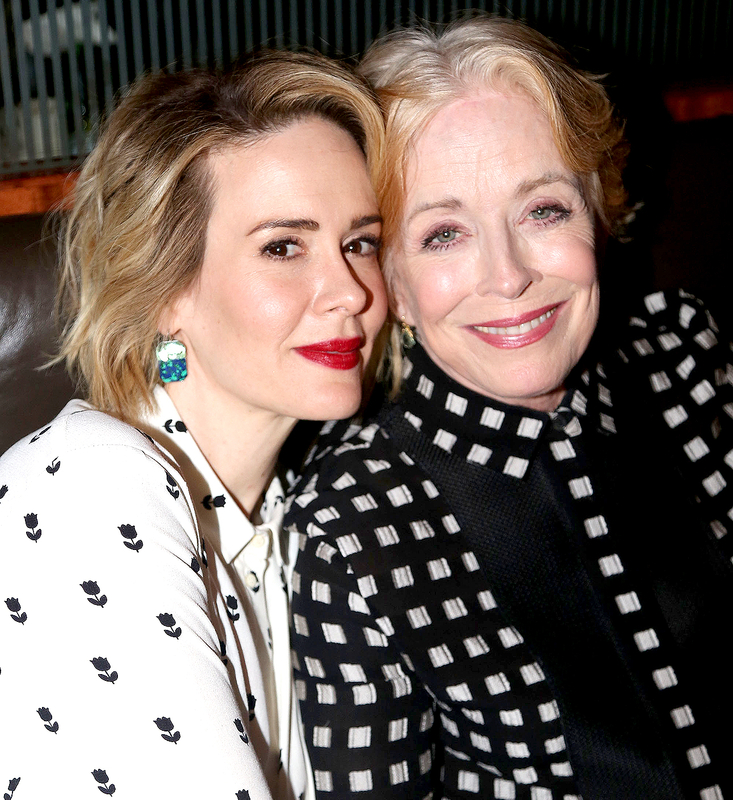 Holland Taylor took to Twitter on Monday, September 19, to share her support for girlfriend Sarah Paulson after her exciting Emmys win at Sunday night’s ceremony. 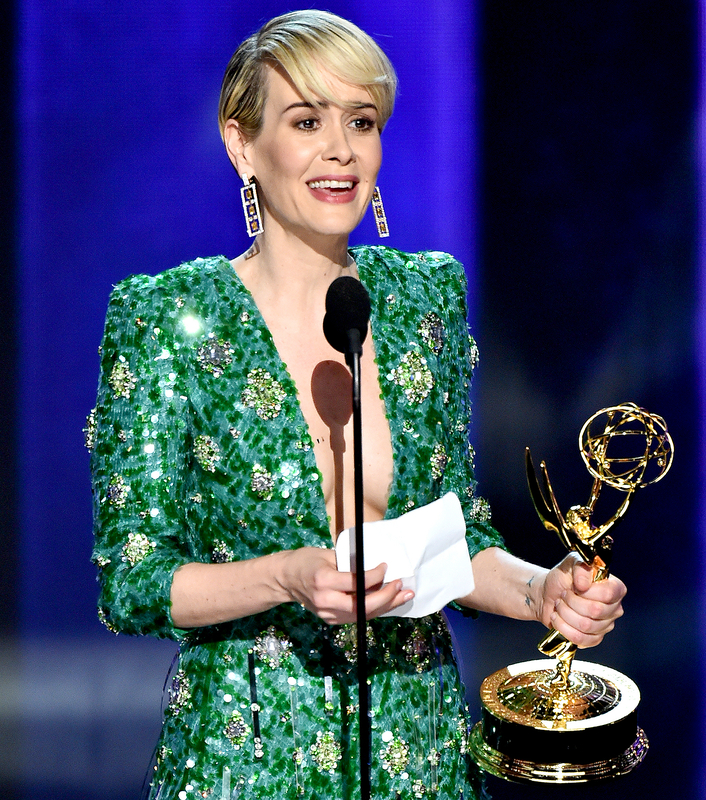 As viewers witnessed, Paulson, 41, took home the award for Outstanding Lead Actress in a Limited Series or a Television Movie for her celebrated portrayal of prosecutor Marcia Clark in FX’s The People v. O.J. Simpson: American Crime Story. Watch Paulson&apos;s super-sweet shoutout to Taylor during her acceptance speech in the video above! “Still in New York,” Taylor, 73, who didn’t attend the show with her ladylove, tweeted. “Still swooning. @MsSarahPaulson.” Taylor is currently working in the Big Apple on the Broadway play The Front Page with fellow thespians Nathan Lane and John Slattery. Prior to sending her sweet sentiments to Paulson, the Two and a Half Men alum gushed over her significant other in a string of equally touching tweets. “Having a heart attack…” she captioned a photo of Paulson — clad in a glittering green Michael Kors gown — walking the red carpet with the real-life Ms. Clark. If I'm watching…?? If I'm WATCHING??? During a March 2016 profile for The New York Times, Paulson spoke candidly — and went public — about her unlikely romance with the Hollywood vet, nearly thirty years her senior, whom she started dating in 2015.